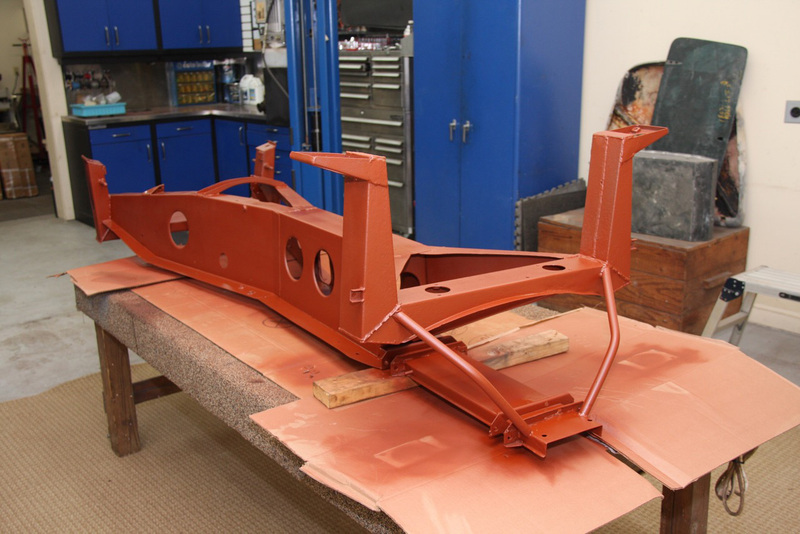 Lotus Elan frames were originally just treated with just a red oxide primer. As we now know, primer will not hold up indefinitely without a topcoat. Back in the day, however, this coating was considered sufficient. 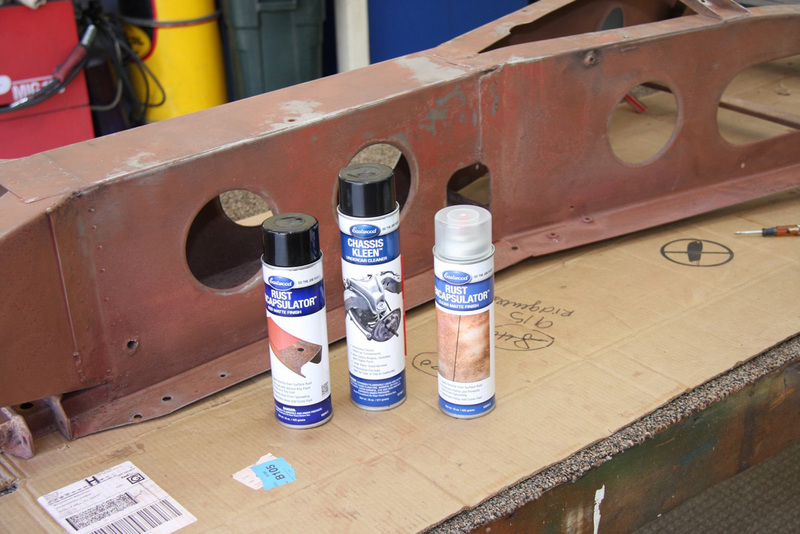 To fully protect our 1964 Lotus Elan’s frame, we wanted to first put down a rust emulsifier before priming the frame and then topping it with a clear coating. 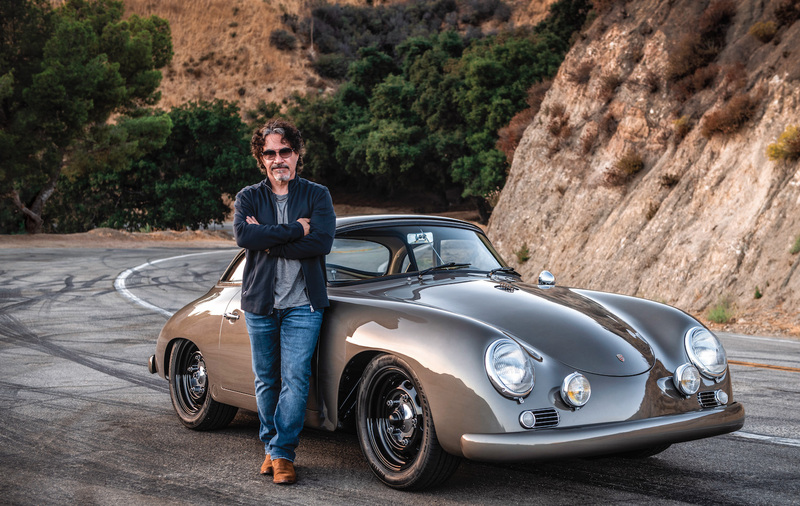 Thankfully, Eastwood now has an easy-to-use spray product that combines a topcoat and rust emulsifier. It’s even colored to look like old-fashioned red oxide primer. They call is Rust Encapsulator. After finishing our metal work, we carefully sanded down the frame and the cleaned it with Eastwood Chassis Clean followed by PrepSol. We wanted to make sure that we removed every bit of rust. 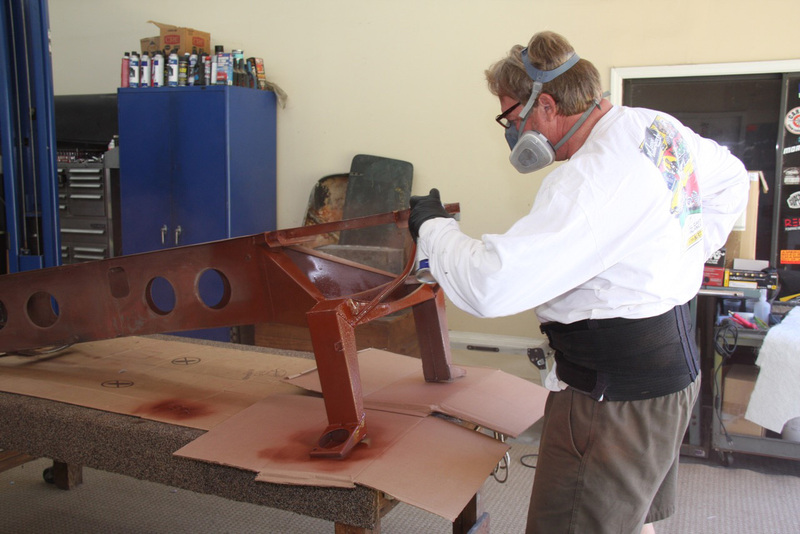 Then we donned our paint mask and sprayed both sides of the frame with Eastwood’s Rust Encapsulator. We are very pleased with the product: It’s easy to use and looks great.